 This examination is being given to fill one part-time vacancy in San Joaquin General Hospital's Laboratory Department and to establish an referral pool to fill future part-time vacancies. .Resumes will not be accepted in lieu of an application. A completed application must be postmarked or received online by the final filing deadline. San Joaquin General Hospital is a 24/7 running facility. Incumbents in this position will work a 10:00 PM to 6:30 AM shift schedule. Prepares and calibrates reagents; prepares and matches blood specimens with test request forms; enters patient identification information into computer. Maintains laboratory equipment following manufacture's instructions; monitors performance of equipment, recalibrating and replacing worn seals electrodes, etc. as needed. Maintains and performs quality control; reports unusual results or discrepancies to licensed technologist. Performs venipuncture and skin puncture for the purpose of drawing blood; administers oral solutions to patients. Performs routine laboratory assignments; prepares and stains slides; aliquots urine specimens; centrifuges blood and other specimens. Experience: One year performing duties equivalent to a Laboratory Assistant I in San Joaquin County. Phlebotomy methods and techniques; methods and materials used in a medical or science laboratory; basic laboratory testing procedures; universal laboratory precautions; use and care of common types of laboratory equipment; general hospital procedures. Operate and maintain complex laboratory equipment; perform venipunctures and skin punctures; accurately label samples and record information; operate computer, associated software and peripheral equipment; understand and follow oral and written instructions; establish and maintain effective working relationships with others; follow general office procedures; read job related material; maintain accurate records; maintain safe working conditions by complying to established safety policies and procedures. Mobility-Frequent operating keyboard, standing for long periods, walking; occasional sitting for long periods, pushing/pulling, bending/squatting, driving, climbing stairs. Lifting-Frequent lifting 5 pounds or less; occasional lifting 5 to 30 pounds. Vision-Frequent overall vision, eye/hand coordination, reading/close-up work, field of vision/peripheral; occasional color perception, depth perception. Dexterity-Frequent reaching, grasping, repetitive motion, writing; occasional holding. Hearing/Talking-Constant hearing normal speech; frequent hearing on the telephone, talking in person, talking on the telephone; occasional hearing faint sounds. Emotional/Psychological-Frequent decision-making, concentration, working alone; frequent public contact, occasional exposure to trauma, grief, death, exposure to hazardous materials. Special Requirements-May require working weekends/nights; working alone; Environmental Conditions-Frequent exposure to noise; occasional exposure to dirt, dust, smoke, fumes, poor ventilation, cold, heat (indoor), hazardous materials. Applicants for part-time/per diem and temporary recruitments who meet the minimum qualifications are either referred to the hiring department for further selection or they may be required to take a written examination. If a written examination is given, the top candidates may be referred to the hiring department for further selection.